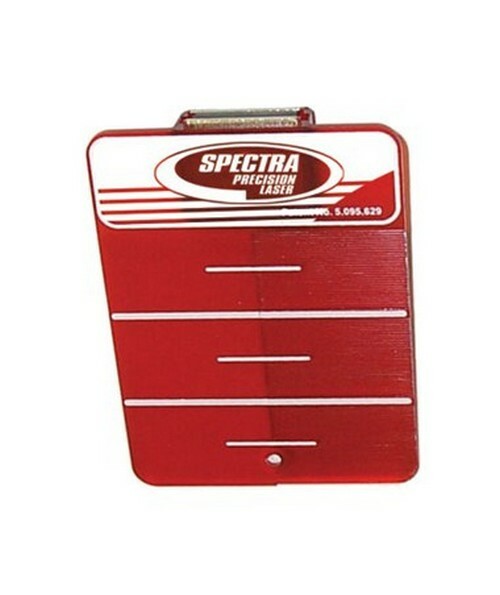 The Spectra Precision Magnetic Visiline Target 1176-6 is a unique red target plate that is meant for the ceiling. With its half translucent and half reflective features, this target can increase visibility of a laser beam by 2.5 times. The white offset lines at every ½ inch also help with aim and site of the beam. 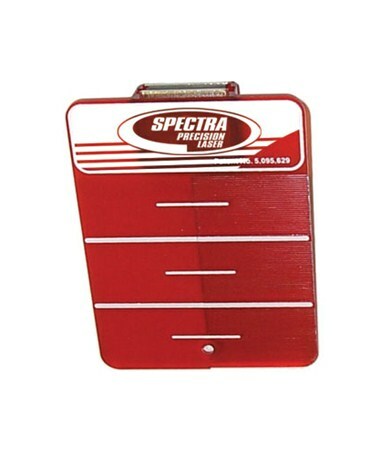 The Spectra 1176-6 target, owned by Trimble, can be used in conjunction with the Spectra Laser Distance Meter HD100.